This one makes me gush over it like a ardent fan, that I can re-read it over many times more. Not just is it romantic, it also pegs a lot about the social status and the strength of a woman. Charlotte Samuels is working as a waitress in a grand, posh restaurant Marlow, where she meets Mr. Maxfield, a loving old man whom she looks up to as her father figure. What she did not expect is, his son, Brandon Maxfield, to be an arrogant, cocky man and what’s more is when he is being blackmailed by the good old Maxfield senior, to marry Charlotte. The more surprising element comes in when she is offered a million dollars by Brandon to act as his wife. Charlotte has a huge debt left behind by her late father, which she can never pay with her current job. Tempted by the offer of money and to teach the arrogant Brandon a lesson, she accepts to be the transient wife. What follows is the journey of Charlotte among the highly wealthy people, trying her hand at being the way people want her to act as being Mrs. Maxfield and not being to fill into the shoes of the perfect Mrs. Maxfield the society wants her to. She stands up for what she is, radiating confidence around, never tries to filter out her feelings from her mouth, makes friends easily when people look beneath her to what she is. Along the way, Brandon falls heads down in love with Charlotte and she can’t seem to resist her charms. Brandon stands by her when she puts her best foot forward in the social circle and never stands down when she is being judged. An fully entertaining tale throughout, with the way Brandon swells up with pride every time she stands up, the way Charlotte speaks out her mind and renders others speechless with her comebacks, breaks the monotonous living expected out of the wife of Brandon and carries on the burden of being Mrs. Maxfield with ease. A must read story for every wattpader! No, cut it out! A must read story for ‘all’! To all those romantic softies out there, this one is a must-read story! It made me cry, smile and blush all along the entire story. Jade, a beautiful girl who hid behind large rimmed glasses and loose-fitted clothes, had a past known only to her sister and mother, which made her get branded as a nerd and weirdo. Who really was she? What is the reason behind her transition from a carefree pretty girl to a nerdy one? Eros, extremely handsome, rich and powerful business man, who is hard-hearted, unmoving, ruthless person. His employees feared him and his enemies had qualms to cross him. Everything about him screamed ‘Evil’. Eros, employer of Jade, saw through her. What made him look through her disguises, at her pretty face and heart? Eros had never felt something like this in his life before. He wanted to keep her with him, so he gave her the most unexpected job of making coffee for him in his house whenever he required. Jade made him change his rude attitude and struggled not to fall for his handsome face. Being new to this feeling, he did not know how to handle himself and went on to hurt her in the process. Will they express their love for each other? Will the past come stalking to them? A story of anticipation mixed with good proportions of romance making the reader wanting more of Jade and Eros. Will I read it again? I have already read it thrice! Looking forward for your opinions, both good and bad! Hey Guys! Hope you liked the review of ‘Pitch Black’. If you have some recommendations, do let me know. I’ll be posting the review of ‘The Girl He Never Noticed’ in a couple of days. 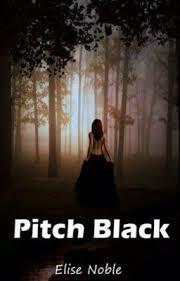 Pitch Black by Elise Noble is a story of a lady, Ash by name, who leaves the city all of sudden and disappears from her friends and well-wishers after the sudden murder of her husband . She surfaces in a small town with a new identity. But can she put her past behind? Luke, a wealthy guy from the same town, falls for this new version of Ash, charmed at her easy-going attitude, not knowing the hard surface underneath. After a long time, she finds herself happy with Luke. She seems contended to be with him, but behind the scenes, she is looking for the reason behind her husband’s murder. When Luke’s sister is kidnapped, she goes back to her old sources and friends and her true identity surfaces. Will Luke still accept her? Is she ready to face Luke after untruthful stint with him? 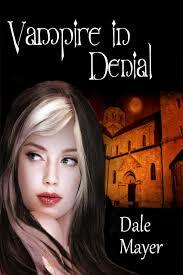 This is the first book in the series of three books of The Blackwood Series. The other two books are Into Black and Forever Black. I would highly recommend to read this series for those who just have joined wattpad as this was one among the stories I first read which propelled me to read more in wattpad. About the Author: Elise Noble is one of the standard authors in wattpad, whose stories are always intriguing and fresh. Almost all the books is of great caliber who never fails to surprise the readers with bold twists in plots. Will I read it again? Definitely! Stay tight till the next pick! Welcome to Wattpad Review Corner! Ardent fans of wattpad who are in deep dilemma to go through the vast ocean of stories to pick one to read and those who are trying their first hand in wattpad, this blog is what you need, guys! Why Wattpad? Wattpad is a great platform for amateurs to start reading stories to develop an interest in it. Also, it is very handy to have it in your mobiles and is also an distinguished arena for new talent to showcase their writings. Furthermore, for bookworms like me, it just has a vast supplies to read to our heart’s content. In this blog, you will be able to look through the suggestions to pick out the stories to your liking or you can also request review of a particular story or can also get suggestions for a specific genre of story. Stick in till the next post! Kudos!